Our team of PAT Test engineers in Suffolk cover from Newmarket to Lowerstoft and everything in between. They are all fully qualified, insured and CRB checked to provide your business with total peace of mind. Our uniformed, polite engineers will test all equipment with minimum inconvenience to you and your staff. This includes working out of normal office hours at no extra cost. 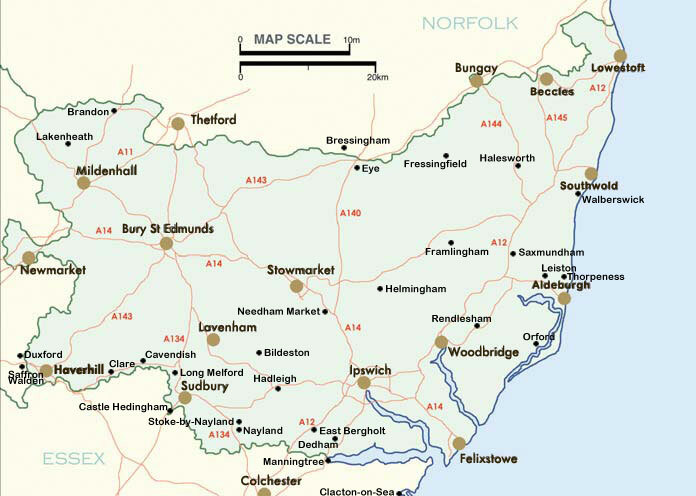 For more details you can also view our dedicated Suffolk Area site. We cover the whole of Essex and the surrounding area including all of Hornchurch, Basildon, Billericay, Braintree, Brentwood, Brightlingsea, Burnham on Crouch, Chelmsford, Clacton on Sea, Coggeshall, Colchester, Epping, Grays, Hadleigh, Halstead, Harlow, Harwich, Ilford, Loughton, Maldon, Manningtree, Rayleigh, Rochford, Romford, Saffron Walden, South Woodham Ferrers, Southend on Sea, Thaxted, Tilbury, Waltham Abbey, Walton on the Naze, Wickford and Witham.